Moshi Moshi Sweeties! 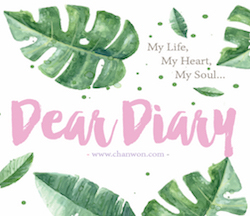 This is Chanwon and today I'm going to blog about a must-do thing in Japan. Yeap, you are right! !It's all about dressing up in a yukata / kimono in Japan. I got a lots of questions about this on my email and instagram. I actually posted a photo with FAQs about Kimoni & Yukata rental in Japan but I know it's much easier if I could update it on my blog here. Am I right? So you guys can google it or find the link back on my blog. It's not my first time wearing Yukata / Kimono in Japan but in fact I never get bored with it. I wish I could wear it every time when I'm in Japan. I love the details and prints on the Kimono and I'm sure a nice kimono will always go well with cherry blossoms, or a temple or shrine in the background. 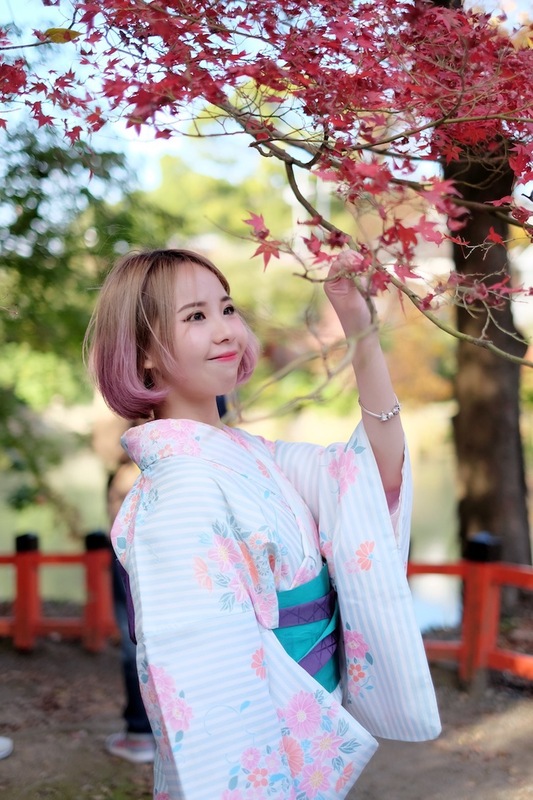 If you are first time visit to Japan and wanted to create some wonderful memories during your trip then make sure you don't miss the chance dressing up in the traditional outfit and enjoy the super beautiful scenery in Japan. Oh yea, you don’t have to worry or feel nervous about not having your own kimono (or not knowing how to wear one) because there are lots kimono rental shops nearby the tourist spot. You can just simply google it and make reservation before your visit or some even provided walk in service as well. There are few types of Japanese traditional clothing in Japan and most of the time we can see Kimono / Yukata rental in Japan. So what's the difference between Kimono and Yukata? Although kimono are the best known article of Japan's traditional dress, the Japanese people usually only wear kimono on special occasions. 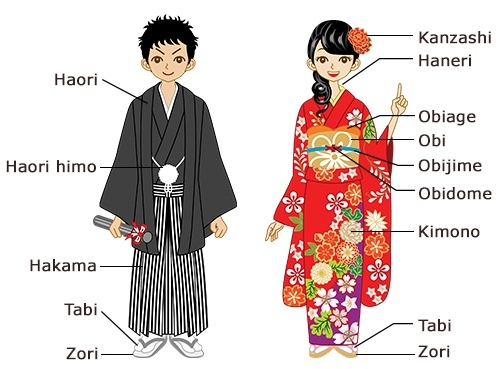 This results from the complicated rules regarding how to wear a kimono, and the difficulty with dressing in a kimono. However, in the summer, Japanese often wear a simpler type of kimono known as the "Yukata." Kimono and yukata are very similar but kimono are made of silk while yukata are made of cotton. The yukata is the most casual type of kimono for summer use. It is easier to wear than other varieties and it's thinner + lighter material than Kimono. Kimono for special occasions, thicker, heavier, slightly pricy than Yukata, difficult to wear, more layers & made of silk. Yukata is lighter, thinner material, cheaper, made of cotton, easy to wear, less layers, specially for summer season. Most of the rental shop offer a hassle-free kimono-wearing experience to tourists. In cold season they normally rent out Kimono while for summer, they will rent out Yukata. For those who asked me about where to rent this kimono. I normally found the rental shop nearby all the all the tourist spot. •Last time I went to Arashiyama and rent it nearby the place and this time, Mine is rent from Fushimi-Inari nearby shoplot I don't really remember the name as the shop is located at third floor above the restaurant. •It cost around 3500-10000 yen to rent a kimono. You can choose based on your preference ( the nicest design normally cost more than a normal) and normal one it cost around RM160-200 for 6-8 hours and need to return by 6pm. 1) Arashiyama🎍-the bamboo forest and 天龍寺 have many nice spot and less tourist at the 天龍寺2) Gion👘- most Japanese take their wedding photo here and there are lots of beautiful vintage scenery that only available in Gion. I did a couple shoot with smelly here too. Very very pretty and there are a shrine located nearby Gion too. 3) Fushimi-Inari🇯🇵- a very nice spot and only available in Japan but unfortunately it's really really hard to take photo after 12pm as there are lots of tourist walking behind you and wanna take photo too. But the scene is damn damn pretty. So if you wish to take nice photo you might need to come early in the morning and hopefully tourist will stop for few second and allow you to take your photo. Lol this is why the first time I was disappointed and this time luckily I have photographer friend only can capture such a nice photo without photobomb lol. About the Hairdo & accessories some request for extra pay to enjoy the service while some included the simple hairdo during your dressing up session. So remember to check it first with the rental shop ya. For those who asked me about this I guess this is based on your preference but for me I choose either pastel base color or bright one! The flora not too big and I love something attractive & easily caught other's eyes. Also another tips for you is mix & match your kimono with Obi with diff color so it can be really contrast and attractive. If you want to look more lady & sweet choose lighter and more pastel color. If you want to look more mature you can choose dark base color like purple or black and medium size flora with attractive color like red / brighter one. You can put your belongings in the renting shop and you can take it back after you returned your Yukata/Kimono. Normally they provided me a big plastic bag / recycle bag with a number on it. So I just throw everything inside the plastic bag and zipped it. The owner of the shop will help us to take care of it and I just bring along my phone , camera and wallet only. Just need to take note on this because during peak season most of the rental shop only accept online reservation or book in advance rather than walk-in customer because it's already crowded and no one available to help you on wearing the kimono/ yukata ya. So remember to plan it well if you wish to rent or look for nicer Kimono. Main reason why they prefer book in advance is that they can secure a time slot for putting the kimono on you — which can take at most an hour! Walk-ins can be done but not advised since it’s quite likely that you’ll not be accommodated, or that you’ll be waiting for hours until your turn. So it's everything about renting Kimono / Yukata in Japan. Hope it's useful for all of you. That's all for today. See you on my next post! Love, xoxo. 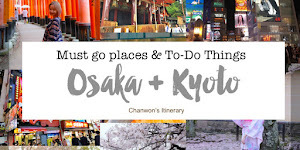 hi chan won, may i know last time what time you reach arashiyama and kiyomizu dera to take photo with your yukata? If are to make online reservation for the kimono, how can we choose the design or patterns that suits our size?